Baltimore Jewish Life | Is this the Right Purim? Could someone observe Purim four times in one year? Question #2: Which Bar Mitzvah Day? If a community mistakenly read one of the four parshi’os in Adar Rishon, must they read it again in Adar Sheini? The Mishnah (Megillah 29a) teaches: “Rosh Chodesh Adar that falls on Shabbos, we read (for its maftir) Parshas Shekalim. If it falls during the week, we read this maftir the Shabbos before. We skip the next Shabbos (meaning that we do not read a special maftir). The second Shabbos after Shekalim, we read Parshas Zachor; the third, Parshas Parah Adumah; the fourth, Hachodesh Hazeh Lachem; and the fifth, we return to the regular order.” This Mishnah teaches about the four special readings, called the Arba Parshi’os, that we read for maftir during or near the month of Adar. In a leap year, when there are two months of Adar, we observe the special laws of the month of Adar, including Purim, Taanis Esther and the Arba Parshi’os, in the second Adar. What many do not realize is that there is actually a dispute among the tanna’im, the Torah scholars of the era of the Mishnah, concerning in which Adar one should observe the special mitzvos of Adar. The Gemara (Megillah 6b) records three opinions how we should observe these events. An anonymous opinion (known as the Tanna Kamma) contends that the four parshi’os may be observed either in Adar Rishon or in Adar Sheini, but Purim can be observed only in Adar Sheini. Rabbi Eliezer, the son of Rabbi Yosi, contends that all observances, including Purim, may be observed in Adar Rishon. In his opinion, these mitzvos should preferably be observed in the first Adar, but if one failed to do so, one can still fulfill the mitzvah by performing them in the second Adar. Rabbi Shimon ben Gamliel contends that all the mitzvos can be observed only in Adar Sheini. This dispute becomes even more interesting after we understand some additional historical background. One of the 613 mitzvos of the Torah is the establishment of a Jewish calendar that includes occasional leap years that are thirteen months long. The requirement of adding this extra month is so that Pesach always falls in the spring and Sukkos in the autumn (in the northern hemisphere). The preferred way to establish this calendar is through determination of the Sanhedrin in Eretz Yisroel. For thousands of years, a special court of seven judges was created each year to decide if there is a need to add an extra month. The judges were chosen by the nasi, the head of the Sanhedrin. We hope and pray that this system will be re-implemented soon, when Moshiach arrives. In the era when the Sanhedrin and its special committee determined whether to create a leap year, many considerations were included in the decision. Among the factors evaluated were not only astronomical and weather information, but also what year it was in the shemittah cycle, what was the condition of the roads, whether people had left Bavel early enough to arrive in Yerushalayim for Pesach, whether enough lambs would be available for korban Pesach and what was the condition of the ovens used to roast the korban Pesach. The special court began meeting any time after Rosh Hashanah, and the deliberations regarding whether to add an extra month could continue until the last day of Adar of the year involved. This means that they could decide to make it into a leap year even after Purim had already been observed! By the way, a practice of ours results from the timetable in which the Sanhedrin was allowed to declare a leap year – after Rosh Hashanah and before Rosh Chodesh Nissan. During Musaf on Rosh Chodesh, we close the middle brocha with a prayer for twelve blessings to occur in the coming month, and, in a leap year, we add a thirteenth blessing to this prayer. Thus, the number of blessings mentioned in this brocha corresponds with the number of months that the specific year contains. However, most customs add the thirteenth blessing only from the months of Marcheshvan until and including the months of Adar (both of them), but do not recite this thirteenth blessing during the rest of the year. Why don’t we recite this additional blessing between Nissan and Elul? Based on our knowledge of when the Sanhedrin could declare a leap year, we can explain why the additional blessing is omitted between Nissan and Elul. At the time that the calendar was created by the Sanhedrin, the decision whether to add a month to the year was never made before Rosh Hashanah, and, therefore, between Nissan and Elul one never knew if the coming year was a leap year or not. Therefore, at that time, adding an additional blessing in that part of the year would be inappropriate, not only when the Sanhedrin is making that determination, but even today, when, as we will soon explain, the cycle of leap years is predetermined. When the calendar was decided by the Sanhedrin, printers would be unable to print a calendar in advance and, on Purim, housewives might be uncertain whether they have four weeks in which to prepare for Pesach, or eight, since the Sanhedrin may not yet have decided whether to add an extra Adar. As we noted above, this decision could be reached as late as the last day of Adar, some fifteen days after Purim. Unfortunately, we no longer have a Sanhedrin to establish our calendar. Instead, we use the calendar established by Hillel Hanasi, during the time of the Gemara. (One should be careful not to confuse Hillel Hanasi, who was the great-grandson of Rabbi Yehudah Hanasi, with their very illustrious and more famous ancestor, Hillel, who is often called Hillel Hazakein.) Hillel Hanasi was the last head of a Sanhedrin in Eretz Yisroel before the Roman persecution made it impossible for the Sanhedrin to continue functioning. Hillel Hanasi created the calendar we currently use, which has, among its features, a regular pattern of seven leap years and twelve common years in a nineteen-year cycle. Hillel established a system whereby the 3rd, 6th, 8th, 11th, 14th, 17th and 19th years are leap years in which we add the additional Adar. In which Adar is Purim? We mentioned above the three-way dispute concerning when we observe Purim and the four parshi’os in a leap year. According to Rabbi Eliezer berabbi Yosi, the unique mitzvos of Adar, that is, the observances of the four parshi’os, Taanis Esther and Purim, should all be observed in the first Adar. However, should one fail to observe them then, one may observe them in the second Adar. According to the Tanna Kamma, the four parshi’os may be observed in either Adar Rishon or Adar Sheini, but Purim can be observed only in Adar Sheini. Rabbi Shimon ben Gamliel contends that all the mitzvos can be observed only in Adar Sheini. What are the reasons behind the dispute? The Gemara explains that Rabbi Eliezer berabbi Yosi holds that all the mitzvos should be kept in Adar Rishon, because of the principle called ein ma’avirin al hamitzvos, the opportunity to observe a mitzvah should not be allowed to pass. Since, in Rabbi Eliezer berabbi Yosi’s opinion, one may observe these mitzvos in either Adar, one should fulfill them at the first opportunity and not wait until the second Adar. The law of ein ma’avirin al hamitzvos is referred to in several places, and, according to Rashi and the Mechilta (to Shemos 12:17), this requirement is derived from the Torah. When the Torah states, Ushemartem es hamatzos, and you shall guard the matzos, (Shemos 12:17), meaning to make sure that one’s matzos do not become chometz, the word matzos is understood hermeneutically to refer to all mitzvos. This renders the command of the Torah to mean that you should “watch” for the mitzvos, that is, wait eagerly to perform them. As explained by the Mechilta, this means that when one has an opportunity to fulfill a mitzvah one should not tarry, but should fulfill it as soon as one can. Is ein ma’avirin al hamitzvos a Torah requirement? Since Rashi and the Mechilta cite a verse as the source for the law of ein ma’avarin al hamitzvos, should we assume that this is a Torah requirement? This is indeed the position of Tosafos (Yoma 33a s.v. ein) and some other authorities (Nishmas Odom 13:2; see also Shu”t Divrei Malkiel, Orach Chayim #16). However, there are authorities who contend that ein ma’avirin al hamitzvos is required only miderabbanan, and the verse quoted is what is called in halachic terminology an asmachta, a Scriptural foundation or hint for a rabbinic law (Shu”t Radbaz #529). Here are some other examples of the principle of ein ma’avirin al hamitzvos. When donning tefillin, one should be careful not to touch the shel rosh before he touches the shel yad. According to Tosafos (Yoma 33b, s. v. avurei), if he touches his shel rosh first, he will be forced to wait to put it on until after his shel yad, because the Torah implies that one should not don the shel rosh until he is already wearing the shel yad. This will constitute a violation of ein ma’avirin al hamitzvos, because he sets aside the shel rosh and does not put it on immediately. Similarly, because of the law of ein ma’avirin al hamitzvos, one who touched his tefillin before his talis must put the tefillin on first. Here is an unusual application of the principle of ein ma’avirin al hamitzvos. Someone who is imprisoned, and cannot fulfill many mitzvos, such as kerias haTorah, tefillah betzibur, shofar blowing, and hearing Megillah while he is incarcerated, is provided the opportunity for one furlough. When should he use his furlough? One early authority was uncertain whether he should request to get out for Yom Kippur, because of the sanctity of the day, or whether he should use it for Purim, since the mitzvah of pirsumei nisa accomplished by hearing Megillah is something that cannot be accomplished at any other time. The Radbaz (Shu”t Haradbaz #1087) takes issue with these considerations, contending that whatever mitzvah he can observe first should be the one for which he takes his furlough, because of the principle of ein ma’avirin al hamitzvos. While his incarcertation makes him unable to perform many mitzvos, once he has been granted a furlough, he now has an opportunity to perform a mitzvah, and not taking advantage of that constitutes forgoing its observance! Having explained the reason why Rabbi Eliezer berabbi Yosi contends that one should read Megillah and the four parshi’os in Adar Rishon, the question is why does Rabbi Shimon ben Gamliel rule that one must wait until Adar Sheini to observe these mitzvos? The Gemara presents two approaches to explain Rabbi Shimon ben Gamliel’s opinion. Rabbi Tevi maintains that since the celebration of Purim is to thank Hashem for redeeming us, we should observe these mitzvos in the Adar that is closer to the month of Nissan, when we celebrate another redemption, that of the Exodus from Egypt. Rabbi Elazar explains Rabbi Shimon ben Gamliel’s opinion in a different way, deriving from a verse in Megillas Esther that, when there are two months of Adar, we should celebrate Purim and the other events in the second Adar. At this point, we can address one of the questions I raised at the very beginning of this article: Could someone observe Purim four times in one year? I mentioned above that, in the era that the Sanhedrin establishes whether the year is a leap year or not, it could happen that a leap year is declared after Purim, but before the month of Adar has ended. This means that, in what appeared to be a common year, the beis din decided to declare, towards the end of the month of Adar, that they would add an extra month. In this scenario, Purim was already observed, yet now the Sanhedrin declared that there would be a second Adar. Does everyone need to observe Purim a second time? As I explained above, according to Rabbi Eliezer berabbi Yosi, the addition of the second Adar does not affect the observances of the four parshi’os, Taanis Esther and Purim, since they are all kept in the first Adar. Regardless as to when the Sanhedrin decided to add an extra Adar, these mitzvos are performed in the first Adar. According to the Tanna Kamma, the four parshi’os may be observed either in Adar Rishon or in Adar Sheini, but Purim can be observed only in Adar Sheini. This would mean that when the beis din decided prior to Adar to create a leap year, the mitzvos should all be observed in Adar Sheini. If the beis din did not decide until some time in Adar, whichever of the four parshi’os had been read already did not need to be repeated. However, if they decided to add an extra month after Purim had been observed, everyone is required to observe Purim for a second time in the second Adar. 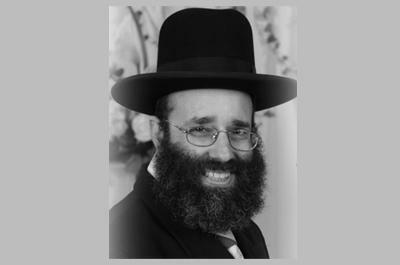 Rabbi Shimon ben Gamliel contends that all the mitzvos can be observed only in Adar Sheini. In his opinion, if beis din decided to add an extra month at the end of Adar, then the four parshi’os and all of the observances of Purim must be repeated. The Gemara concludes that the halachah follows Rabbi Shimon ben Gamliel. For this reason, even though most tanna’im contend that a community that read the four parshi’os in Adar Rishon is not required to repeat them in Adar Sheini, the halachah is that they are required to do so. This ruling is followed by the Rif, the Rosh, the Rambam, the Tur, the Shulchan Aruch and all later halachic authorities. We now know how one might end up observing Purim in both months of Adar; but how does one end up keeping Purim four times in one year? The answer to this question, also, requires a small introduction. As we know from the Megillah, the “open cities,” meaning places other than a city or town that were walled at the time that Yeshoshua conquered Eretz Yisroel, observe the laws of Purim on the fourteenth of Adar, whereas the walled cities observe Purim on the fifteenth. Now, there are places in which it is uncertain whether Purim should be observed on the fourteenth of Adar, like the “open cities,” or the fifteenth, like the walled cities. For example, the Gemara (Megillah 5b) recounts that in Teverya, they read the Megillah on both the fourteenth and the fifteenth. Teverya was walled on three sides, and the Sea of Kineret (also known as the Sea of Galilee) served as its “wall” on the fourth side. It was uncertain whether this conformation qualifies it as a walled city or a non-walled one. Now think: What would happen in Teverya in a year when the beis din decided at the end of Adar to create a leap year? They would end up, according to the Tanna Kamma and Rabbi Shimon ben Gamliel, observing Purim four times. At this point, let us answer our remaining questions: My son, whose thirteenth birthday was on the fourteenth of Adar Rishon, wants to know why his bar mitzvah day was not Purim. The answer is that he would be correct if we ruled according to Rabbi Eliezer berabbi Yosi. However, since the Gemara concludes that the halachah follows the disputing opinion of Rabbi Shimon ben Gamliel, we celebrate Purim in the second Adar. As I mentioned above, the Gemara cites two opinions why Rabbi Shimon ben Gamliel rules that we observe Purim in Adar Sheini. According to one opinion, this is because the redemption that we celebrate on Purim should be observed as close to the celebration of the redemption of Pesach as possible. According to the other opinion mentioned by the Gemara, there is a special hermeneutic derivation that teaches us this halachah. Although according to both the Tanna Kamma and Rabbi Eliezer berabbi Yosi, they would not be required to do so, the halachah follows Rabbi Shimon ben Gamliel, who requires them to read it again. We see how important it is not to delay performing a mitzvah. Certainly, our attitude towards the performance of all mitzvos should be one of enthusiasm – we are overjoyed at the opportunity to fulfill Hashem's commandments.